I felt a kid move inside Midge today for the first time. I have been massaging her lower back for the last couple of weeks – mainly so I can see when her telltale ligament softens – and today she let me touch under her belly. 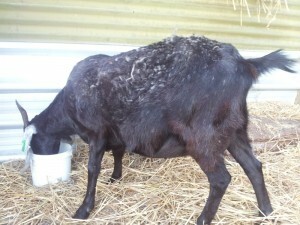 The babies are dropping into position so it looks like her spine is rising up and her sides are hollowing. It is all quite amazing for this first gen farmer. Goats have a couple of ligaments that connect the spine to the pin bones in the pelvis and they soften approximately 12-24 hours before kidding to help the kids get through the birth canal. It is one of the best indicators for when they are going to go into labour. I am feeling the ligaments morning and night when I feed them. 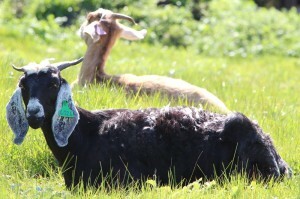 Fiasco Farm and Raising Goats for Dummies have some good images. 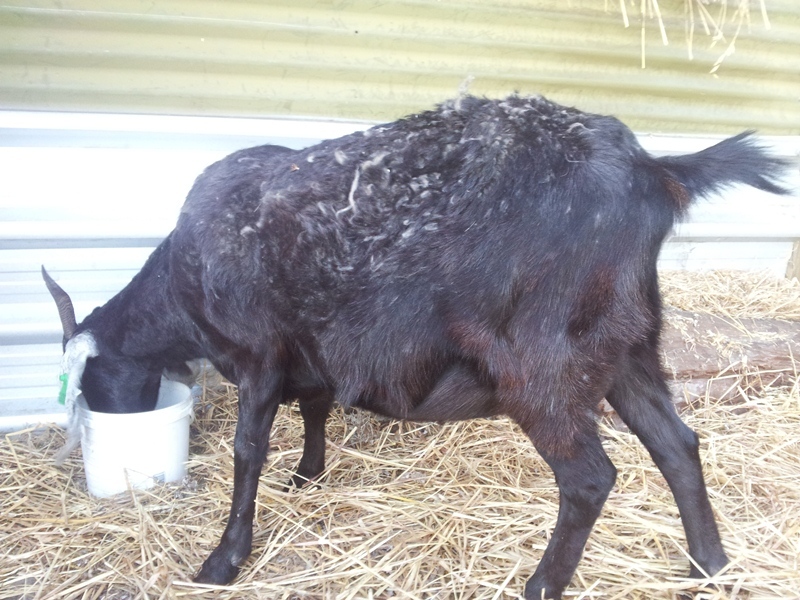 She is spending more time laying down chewing the cud and is eating a wider variety of food, including lots of capeweed.